We’ve all memorized the iconic moments of our favorite teams. We remember where we were when they won big games, lost bigger games, became hometown heroes and more. But how’s your random sports trivia knowledge? The world of sports is rife with obscure, lesser-known facts and stats that seem impossible. Here are just a few of them that stuck out to us. Tug of War isn’t just a game made up for summer camps. From 1900–1920, it was featured in the Summer Olympics! Shaquille O’Neal missed more than a few free throws over his career. He missed 5,317, to be exact. From 1990–1998, when Michael Jordan was on the Chicago Bulls, the team never experienced a three-game losing streak. Prairie View A&M’s football team had a rough patch for a while. From 1989–1998, the football team lost 80 straight gameswhich stands as the longest consecutive losing streak in sports history. Former home-run king Roger Maris was never intentionally walked the year he hit 61 home runs. Michael Phelps’ medal count at the Olympics puts him ahead of nearly 100 nations on the all-time list. On average, less than 18 minutes of a baseball game is actual action. That’s a lot of standing around! The 60+ home run mark has only been eclipsed eight times in the history of baseball. Sammy Sosa accounts for three of those eight times. Wilt “The Stilt” Chamberlain never fouled out of a game in his storied basketball career. Not once. 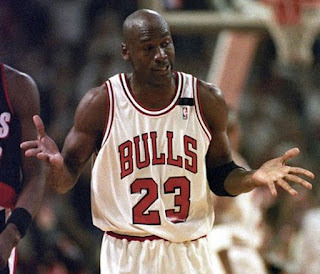 Michael Jordan was nicknamed “Magic” in high school after Lakers great Magic Johnson. That would’ve created plenty of confusion had the nickname stuck in the pros! Sports will always be full of big moments and exciting games, and plenty more head-scratching stats are bound to come with them. What are some of your favorite random sports facts? Let us know in the comments below! As of a few days ago, the Chicago Cubs became the fastest team to 40 wins in 15 years, with the last team to do it being the single-season win-record-tying Seattle Mariners of 2001. That got us wondering what some of the best winning percentages have been in baseball over the course of the league’s history. 1. 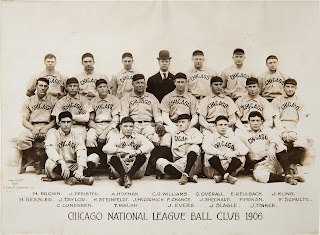 The 1906 Chicago Cubs – Fewer games were played back then, which inflates the winning percentage by today’s standards, but the ‘06 Cubbies finished with 116 wins and a .763 win percentage. They lost that year’s World Series. 2. The 1902 Pittsburgh Pirates – Four years earlier (when the season was even shorter) the Pittsburgh Pirates finished with 103 wins and a .741 win percentage. The World Series hadn’t become the means of crowning a champion yet, as the National and American Leagues hadn’t merged, but the ‘02 Pirates won the National League title that year. 3. 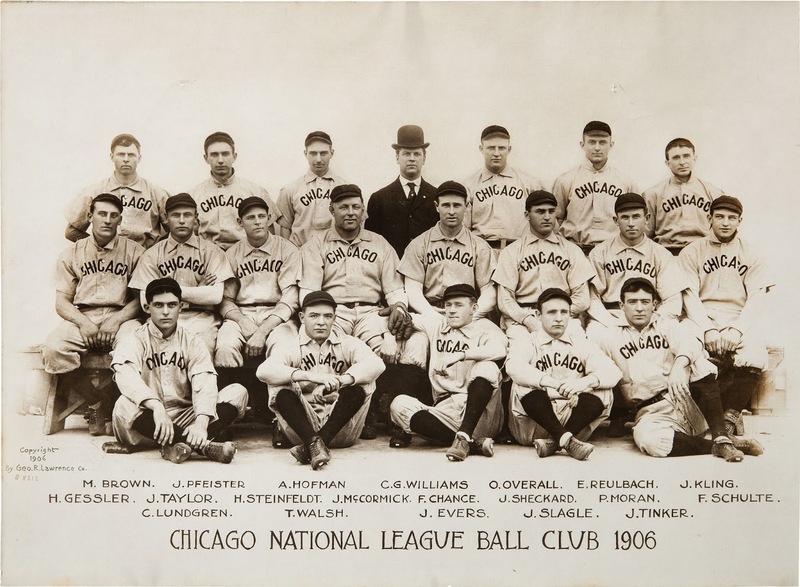 The 1886 Chicago White Stockings – The boys in white finished with a .726 winning percentage and beat the St. Louis Browns to win that year’s World Series, which was a more disorganized version of the revamped tournament that came to be in 1903. 4. The 1909 Pittsburgh Pirates – The Bucs garnered a .724 winning percentage and won that year’s World Series against the Detroit Tigers. 5. 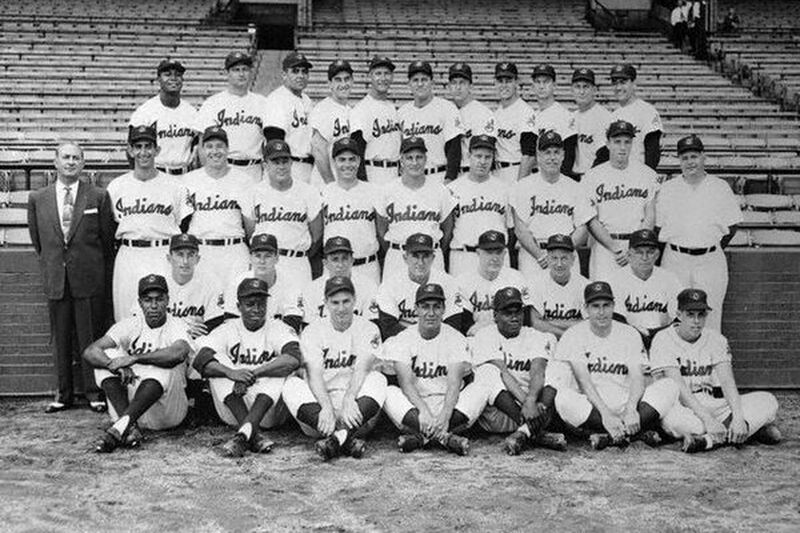 The 1954 Cleveland Indians – Winning 111 games, the Indians amassed a .721 winning percentage but fell short of glory, losing that year’s World Series to Willie Mays and the New York Giants. There are several more high-win percentage teams in the record books, but only the 2001 Mariners and the 1998 New York Yankees have left their mark over the last 20 or so years of baseball. Parity and long, grueling seasons with games played upwards of five days per week can take its toll on players. Can the Cubs stay on pace and surpass their 1906 record-setting total of 116 games? It would definitely be a moment to remember. What do you think will happen with the Cubs this season after such a hot start? Let us know in the comments below! P.S. Fun fact: The 1869 Cincinnati Red Stockings posted a perfect undefeated season by going 67-0. The team stretched out that record into the following year and reached 80-0. Not too shabby! With basketball and hockey winding down their playoff tournaments, we’re just a few weeks away from turning our collective sports-watching attention to baseball. Whether you love or hate baseball, you can’t deny the sport carries with it some imaginative and downright strange mascot names. Ever wondered why a team has the name it does? 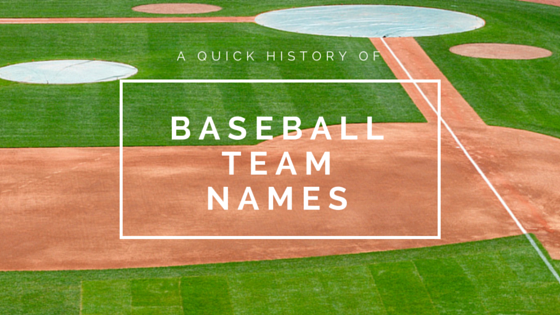 Here’s a quick history of baseball team names for a few of our favorites. It may not be a flashy team name, but it’s a clever one. The Metropolitans hold the distinction of being one of Major League Baseball’s first expansion teams, and the team’s inaugural season took place in 1962. The team was created after the Dodgers and Giants left New York City for California, and the nickname was chosen as a play off of “Metropolis,” which is one of several nicknames for New York City. Did you know the Mets’ colors and uniform design are a combination of all the past and present New York City baseball teams? The team borrowed pinstripes from the Yankees, blue from the Dodgers and orange from the Giants! Region-specific names are always fun, and the Astros’ name definitely pays tribute to Houston’s involvement with NASA and the space program. 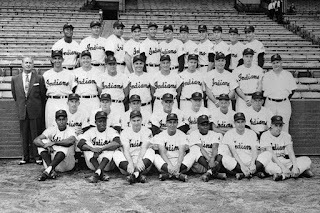 The team started out as an expansion team called the Colt .45s in 1962 (same year as the Mets) but changed its name in 1965 to establish roots in its Texan home. 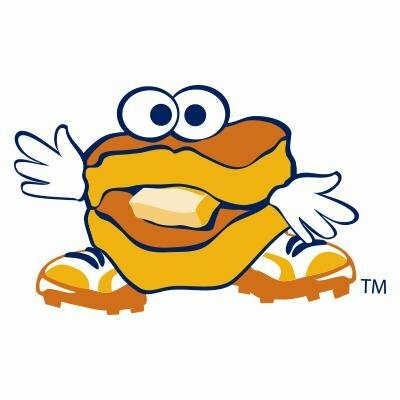 It isn’t a big-league team, but the Biscuits of Montgomery has one of the coolest team names in the game. The team started out as the Orlando Twins, a minor-league affiliate of the big-league Minnesota Twins, in 1973. 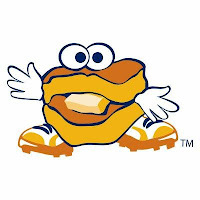 Once the team moved to Montgomery and decided to change mascot names, the Biscuits became an overwhelming favorite. Its logo is campy and fun (an anthropomorphic biscuit with a butter pad for a tongue), and team members shoot biscuits out of a cannon and into the stands at every home game. Fans can also be heard shouting, “Heyyyyy, butter, butter, butter,” to the opposing batter. Who’s hungry? The A’s began with a run in Philadelphia and stayed there until 1954 before a brief stay in Kansas City and an eventual landing in the Bay Area, but how did the team get that name? Initially, the organization was an amateur athletic gentlemen’s club in the 1860s known as the Athletic Club of Philadelphia. When the A’s became a professional baseball team in the late 1800s, the name stuck. In North American sports tradition, it’s been shortened into something of a mascot-esque name, but its roots are very similar to European sports clubs that go sans mascot. This minor-league affiliate of the Colorado Rockies was initially referred to as the Albuquerque Dukes due to the New Mexican city’s nickname of “Duke City.” Once team ownership decided it was time for a change, they looked to pop culture to find a new name. In an episode of “The Simpsons,” Springfield’s beloved baseball team, the Isotopes, leaves town to relocate to Albuquerque. 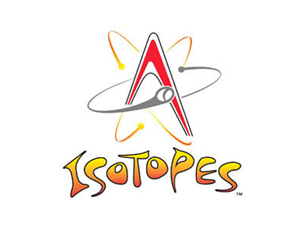 The Dukes’ ownership decided that was too good a gimmick to pass up, and they changed their team to the Albuquerque Isotopes (“‘topes” for short) in real life! Known as the Aeros for the past several years, this Cleveland Indians affiliate changed its name in 2013 to pay tribute to Akron’s rubber industry. The city is the birthplace of famous companies such as Goodyear, Firestone, Goodrich and General Tire. The team’s black and orange color scheme and ferocious-looking duck may try and instill a sense of intimidation, but we can’t help but think of colorful little ducks floating in a bathtub. The history of baseball team names is vast and varied, and they’re bound to change as the years go on. Which one’s your favorite? Let us know in the comments below!